Who is the CS5055PRW For? The Brother Project Runway CS5055PRW Full Disclosure: We earn a commission if you click this link and make a purchase, at no additional cost to you. sewing machine has been created to appeal to beginner and intermediate users. It is also an award winner. Does that mean that it is a worthwhile machine for you to purchase? Well, there is a lot to like about this machine. 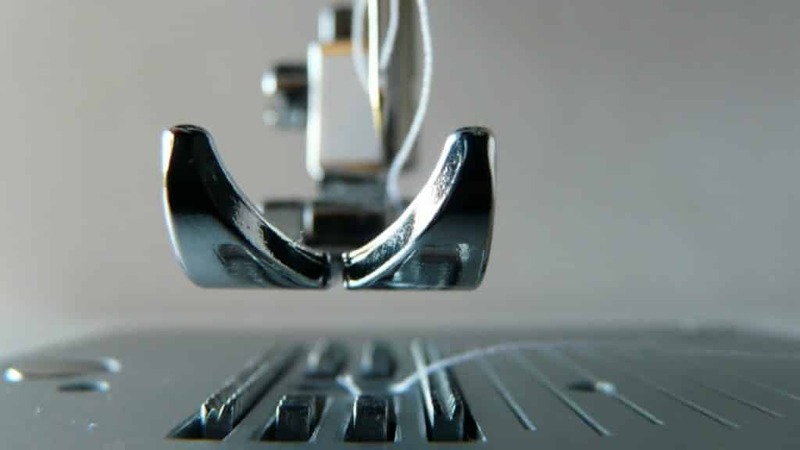 There are a good number of stitches at your disposal, the machine is computerized, the drop-in bobbin system is easy to use, and the machine is simple to set up and operate. We got our hands on one and were able to see if that made this a great machine to have around the home. This may not be the perfect machine, but there is enough for people to love about it. Let’s take a closer look at what you can do with this machine before you decide whether you should buy it or not. The Brother Project Runway CS5055PRW sewing machine looks great. It has a professional look about it which other machines can lack. The great thing is that the performance backs up this professional look. On the side of the machine, highlighted in a muted blue, is the stitch list. Instead of having to look up the stitch you want in a booklet, the list of stitches is right there on the machine. The controls for the stitch selection are right beside the stitch list so you can choose your stitch with ease. If you have read any of our other articles or reviews, then you know how much we covet an automatic needle threader. This sewing machine comes with one. It can be tedious and frustrating trying to thread your needle, especially when you are in a rush to complete your project. With this Brother sewing machine, the needle is threaded for you. Most sewing machines come with a buttonhole stitch. This machine comes with 5 1-step custom-sized buttonholes. Each one has a lot of attention to detail and looks great. Your buttonholing will be the envy of all of your friends. A vertical spool pin means that you have more control over the tension of your thread. Feeding the thread is a lot easier and will combine with the sturdiness of the machine to give you elegant patterns and stitches. The Brother Project Runway CS5055PRW is not strictly a quilting machine, along with being a sewing machine, but there is enough space here for it to be able to handle large fabrics like quilts. If you want to quilt with this machine, we would recommend purchasing an additional extension table, but you can make do with the generous work area which is included. This sewing machine works well with heavier and thicker fabrics. Thanks to the feed system, the needlework and finish are better and stronger. This means that you can work on tougher fabrics such as denim and leather. We like that this sewing machine opens up a variety of projects for you. For a machine as durable and hardy as this one, it is surprisingly light. If you are anything like us, you probably have a number of projects on the go at one time. We like to place machines in and out of storage depending on what we are working on, and you can do that with this machine. It also means that you can take your sewing machine with you. This one is light enough to pack up and put in the back of your vehicle for projects which take you to other places to work on them. The machine may be light, but one thing which we really like about it is how sturdy and stable it is. You can lift and reposition the machine easily, but once it is in place, it will not slip or slide. For you, this means more consistent stitching. Your lines are going to be straighter and evener. You never need to worry about your patterns being ruined or coming out wrong. This is an easy machine to set up and get working on. Brother has put a lot of care and attention into making this machine accessible to all, and the ease of set up is a big part of that. Gone are the days of struggling to get everything in place and the thread fed through the machine. Now, you can be sewing minutes after you have unpacked the machine. Beginners will be able to use this machine, but they are not the target audience here. The machine is easy to set up and use so every level of user can use it, but we see this machine as an upgrade machine for an intermediate user who has been working on a simple sewing machine. If you want to start your own sewing or quilting business, the Brother Project Runway CS5055PRW sewing machine is not going to cut it for you. For personal projects, it is perfect but, for large-scale projects, it is not the best or most cost-effective machine on the market. This is a machine which is aimed at the intermediate user, working its way toward an expert user. If you want something which is a little simpler and not computerized, then the Brother CS6000i sewing machine would be perfect. If you are looking for a sewing and quilting machine combo and will be doing a lot of quilting, then the Juki TL-2000Qi Full Disclosure: We earn a commission if you click this link and make a purchase, at no additional cost to you. 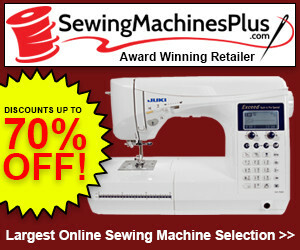 sewing machine is worth a look. As we already mentioned, this sewing machine can be used as a quilting machine, but you may want to look for an additional extension table to get the most out of it. Brother has lots of accessories on the market so you should have no problem in finding a compatible part. The Brother Project Runway CS5055PRW Full Disclosure: We earn a commission if you click this link and make a purchase, at no additional cost to you. is a computerized machine which is accessible to everyone (even children) but which we would recommend to the intermediate user. There is not much of a learning curve here, but there is enough functionality to allow you to work on bigger projects. From simple sewing to quilting to buttonholing and monogramming, this machine can almost do it all. This sewing machine is versatile and could be the last sewing machine that you ever buy (depending on what you need it for). For the price you pay, you are getting a lot of power and features. It is capable of a lot and will make you feel that you are too. We would wholeheartedly recommend this machine. 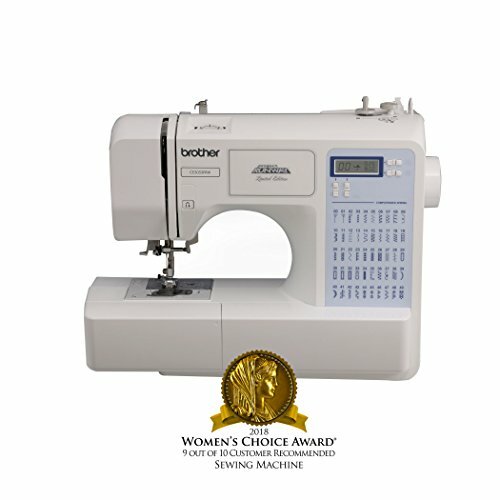 The Brother Project Runway CS5055PRW sewing machine came in at #11 in our Best 12 Sewing Machines List. Here’s the full list, including the other 11 sewing machines. The following links will take you to the review of each machine. Brother Project Runway CS5055PRW Full Disclosure: We earn a commission if you click this link and make a purchase, at no additional cost to you.